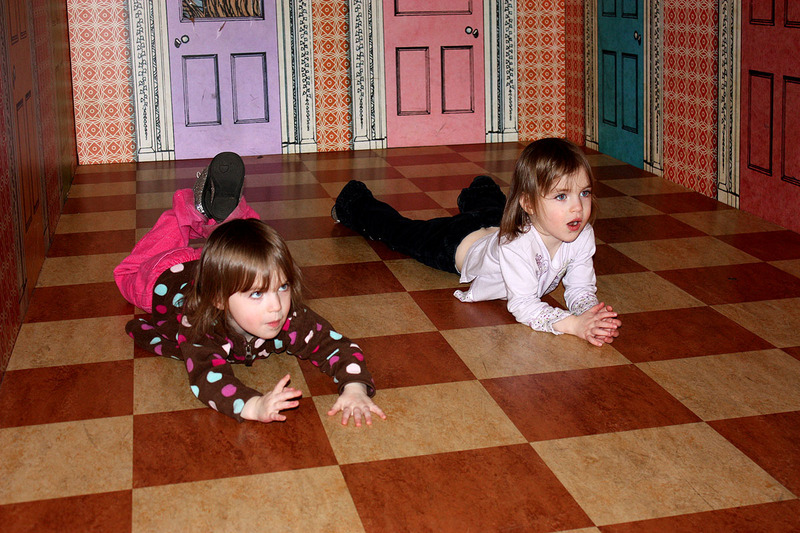 We took another trip to the Please Touch Museum this past weekend! 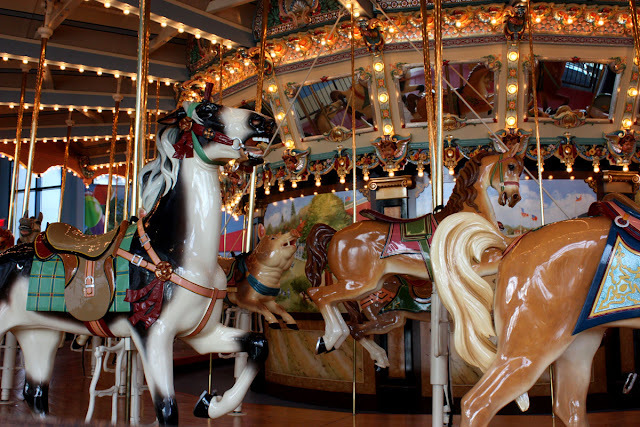 Mobility for me is slow at best, but I try not to let that stop me from getting out with Mike and girls for some fun before the birth of our new little one. 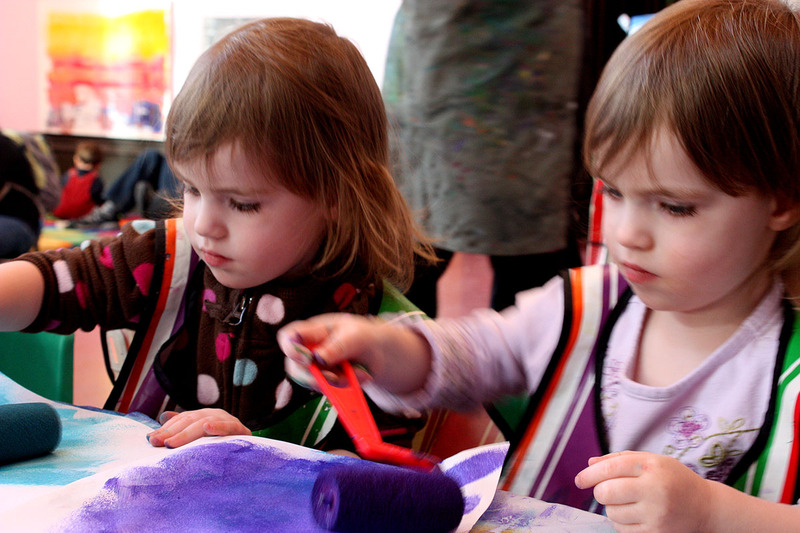 Each month at the museum there are different activities and programs. For the month of February, they had a "printmaking" session in the Program Room for the children. 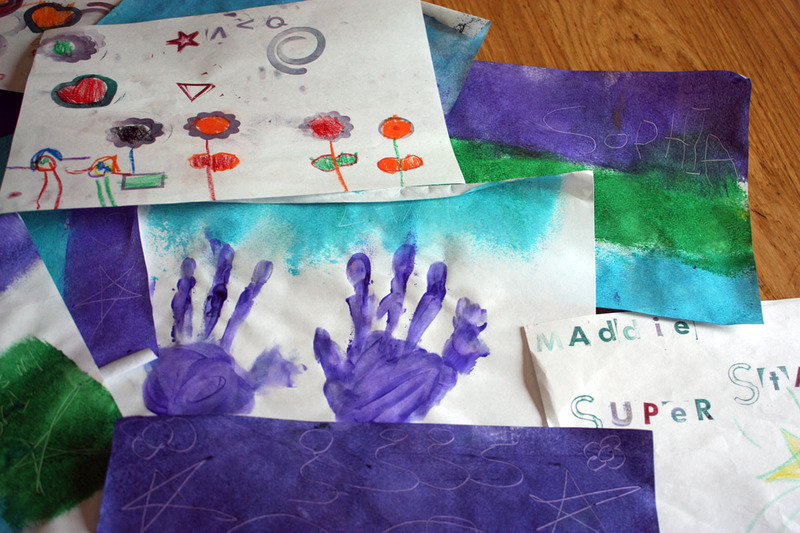 The girls spent a lot of time here creating some of their own original art. 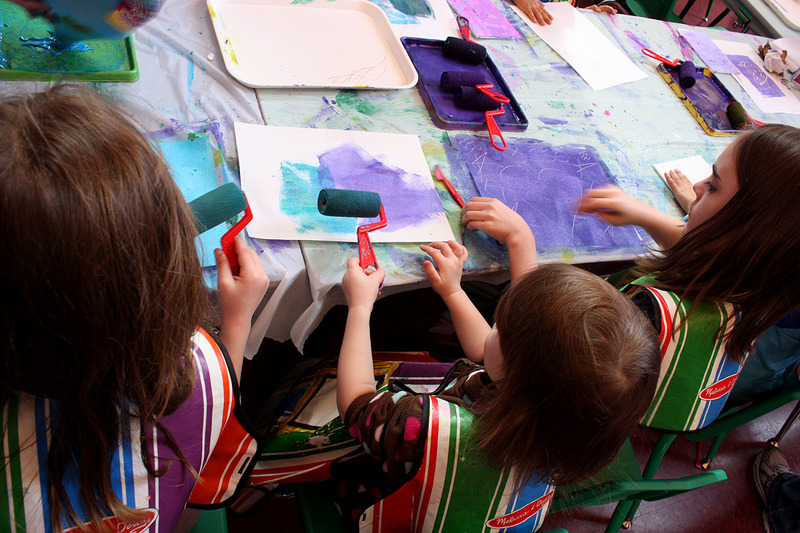 They could have stayed creating pictures the entire day until every ounce of paint and stamping ink had been depleted. We did manage to clean up and gather our dried art before closing time though. 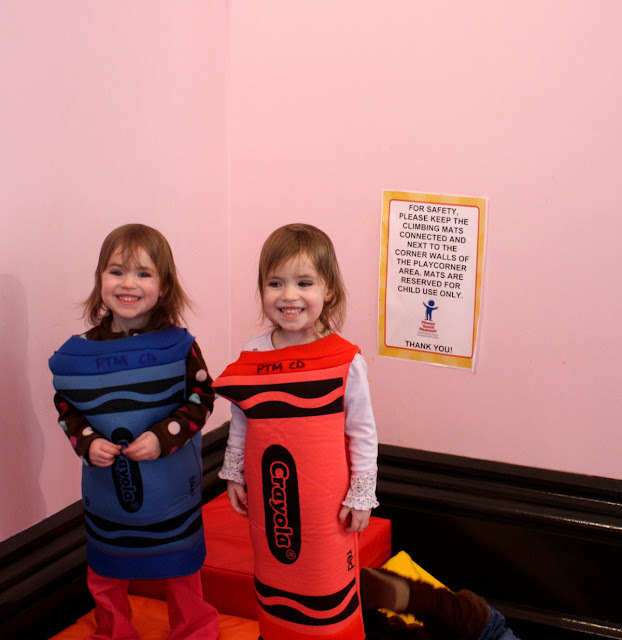 The twins dressed up as Crayola crayons and played on climbing mats. Even Madelyn joined them for a photo! She may not like it much when she finds out I posted it on the blog. I will keep this photo as a reminder to her when she gets older to just have fun and not worry how embarrassing things might seem. Because usually things are not as dramatic as we make them out to be. 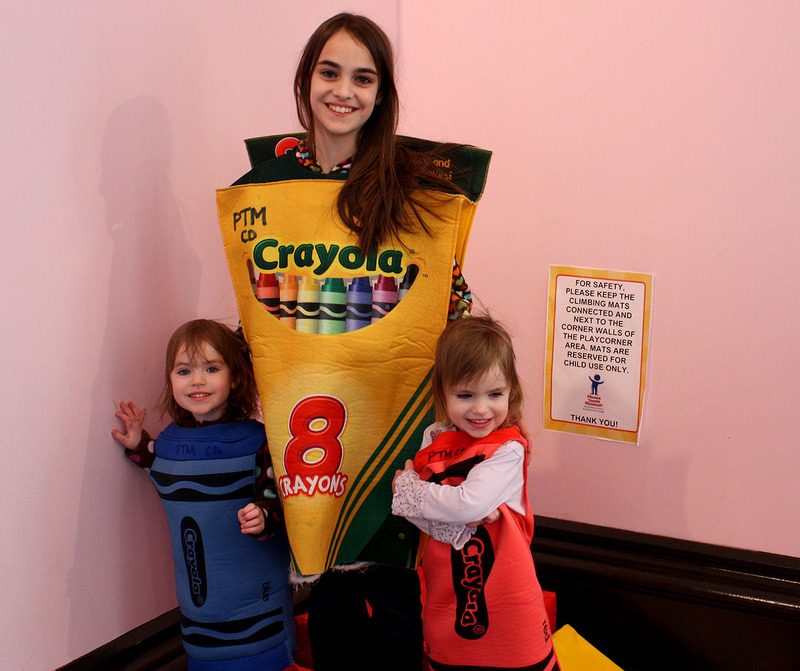 Isabella and Grace thought she was the coolest sister in the world and were incredibly happy when she dressed up to be with them! 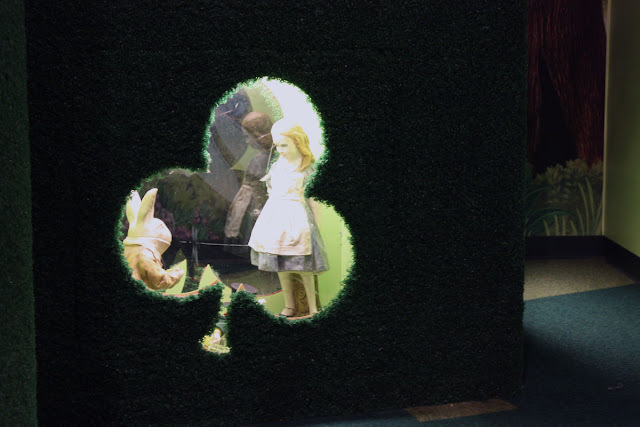 We were able to spend more time in the Alice in Wonderland maze than we did last time we visited. It was a bit less crowded than the other rooms. 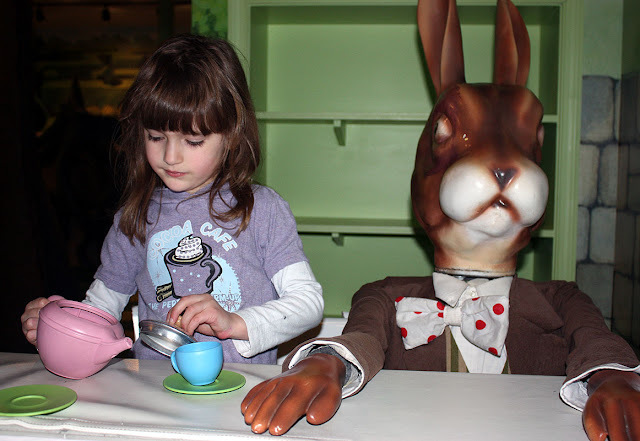 Sophia made tea for the Mad Hatter, March Hare and I. Isabella and Grace had fun in the tiny illusion room, sliding down the sloped floor. Towards the end of the day, we sat in the main hall where there was a Brazilian live music and performance being held. 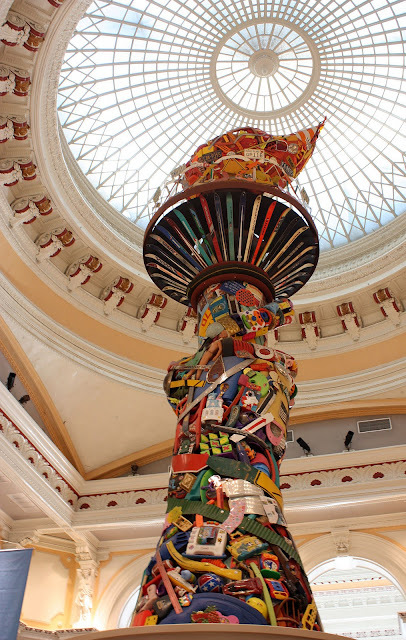 This torch is a 40 foot replica of the Statue of Liberty's Arm and Torch created out of toys, games and other 'found objects' gathered and assembled by local artist Leo Sewell. Madelyn climbed the staircase on the torch in order to get a better view of the dancers and their costumes. On her way down, she twisted her finger on the railing causing a pretty bad bruise and swelling around her knuckle. 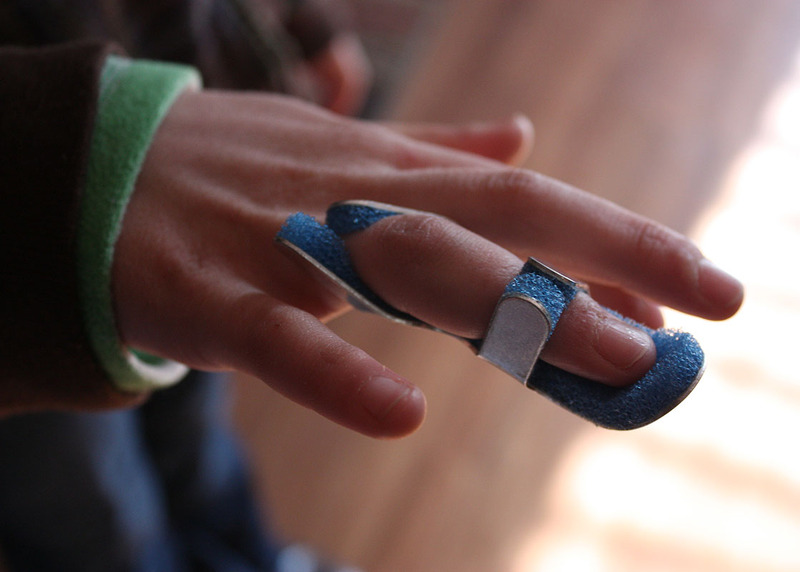 A trip to the doctor granted her a splint and a recommendation to get an xray. Thankfully the injury was minor and we had another entertaining day out as a family!